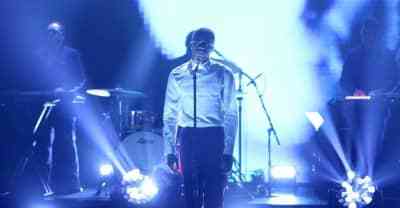 Watch Vince Staples Perform “Love Can’t Be” With Damon Albarn, Kilo Kish, And Ray J On The Tonight Show. Ahead of their monumental Madison Square Garden show, The FADER's co-founder Jon Cohen remembers Blur's first trip to the U.S. The Blur frontman reminisces ahead of their shows at L.A.'s Hollywood Bowl and N.Y.C. 's Madison Square Garden this October. Damon Albarn refused to leave the stage after a 5-hour set at Denmark's Roskilde festival. The Britpop band will perform at Hollywood Bowl and Madison Square Garden this October. Blur will be playing in the U.S. only twice on their upcoming tour, once in NYC, once in L.A. Blur sit with Jimmy Fallon as they perform an acoustic version of "Tender" from their new album, The Magic Whip. 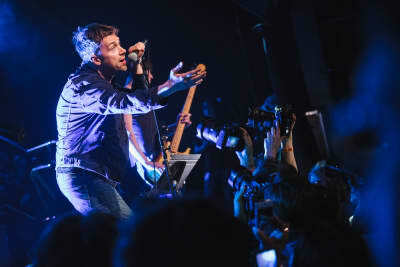 Britpop legends Blur performed their first New York show in 12 years on Friday. Last night the band played their first New York show in 12 years. Shh-Don't let anyone else know. Listen to "My Terracotta Heart." 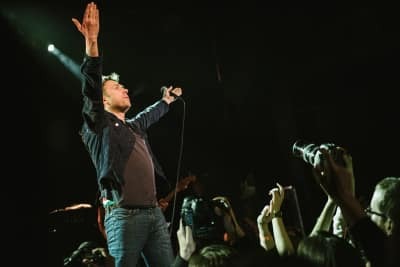 Watch Blur's new video for "Lonesome Street," featuring Phoenix Fly Line Dancing Group, a Chinese line dancing troop from San Francisco. Blur release their second single from The Magic Whip. Magic Whip is out in April.